The paper presents a new calibration method of camera’s principal point and nonlinear parameters, by using the characteristic of radial nonlinear distortion and the curvatures of lines formed by control points from a single planar calibration image. The principal point is estimated by using two curved surfaces fitted by curvatures at all control points, and is the zero curvature crossing point of these two curved surfaces. The radial nonlinear parameters are computed by optimizing the curvature cost function, which adopts a backward nonlinear mapping model. 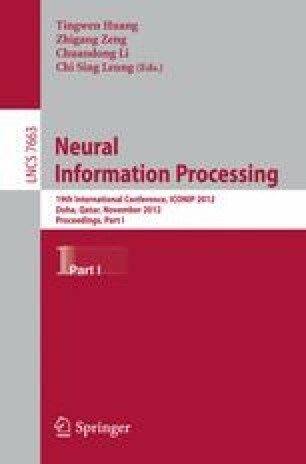 The estimated results of simulated camera and real camera show that our method has higher accuracy and less computational complexity. The method can be used for on-line camera calibration where relative low calibration accuracy can be accepted and low algorithm complexity is needed, or as the initial values of complex calibration optimization algorithm. This work was supported in part by the Leading Academic Discipline Project of Shanghai Municipal Education Commission (J50104), and the Development Foundation of Shanghai Municipal Commission of Science and Technology (11dz1205902).